In April 2018 the U.S. Government Accountability Office (GAO) released a report* on shortcomings in the quality assurance (QA) program at the Department of Energy’s (DOE) Waste Treatment Plant (WTP aka the Vit Plant) in Hanford, Washington. QA problems exist at both Bechtel, the prime contractor since 2000, and the DOE’s Office of River Protection (ORP), the on-site overseer of the WTP project. The report describes DOE actions to identify and address QA problems at the WTP, and examines the extent to which (a) DOE has ensured that all QA problems have been identified and will not recur and (b) ORP’s organizational structure provides sufficient independence to effectively oversee Bechtel’s QA program. Why do we care about QA? The GAO investigation did not target culture and there is only one specific mention of culture in the report. ** However, the entire report reflects the weak nuclear safety culture (NSC) at Hanford. Why doesn’t ORP stop work again? Because ORP senior managers plan to evaluate the extent of Bechtel’s implementation of MIP corrective measures over the next year and have allowed work to continue because they believe Bechtel’s QA is “generally adequate.” (p. 22) We’ll reveal the real reason later. 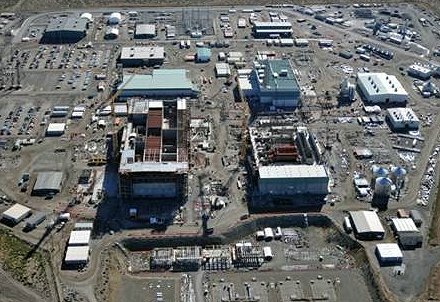 An article*** in the local Hanford newspaper summarizes the report’s contents. However, the problems described are not new news. Technical, quality and culture problems have swirled around the WTP for years. In 2011 we started reporting on WTP issues and the sluggish responses from both DOE and Bechtel. Click on the Vit Plant label to see our previous posts. Goal conflict (cost and schedule vs. QA and a strong NSC) has always been the overarching issue at the WTP. Through fiscal year 2017, DOE spent $11 billion on WTP construction. It will cost approximately $16.8 billion to complete the first phase of the WTP, which transfers low-level radioactive waste to the low-level vitrification facility. No one knows how much it will cost to complete the WTP or when it will be functioning. GAO gives their subjects an opportunity to respond to GAO’s reports and recommendations. The DOE response is an unsurprising continuation of their traditional rope-a-dope strategy: concur with GAO recommendations, rationalize or minimize the current extent of condition, exaggerate current corrective actions, promise to investigate identified issues and do better in the future, wait for GAO’s attention to turn elsewhere, then continue with business as usual. What DOE needs to do is issue a stop order for the money train—that would get the attention of everyone, especially Bechtel and ORP managers. How does your QA department stack up? Does it add value by identifying and helping to solve real problems? Is it a distracting irritant, enamored of its own authority and administrivia? Or is it simply impotent? * U.S. Government Accountability Office, “Hanford Waste Treatment Plant: DOE Needs to Take Further Actions to Address Weaknesses in Its Quality Assurance Program,” GAO-18-241 (April, 2018). ** “One [ORP] quality assurance expert specified that ORP’s culture does not encourage staff to identify quality assurance problems or ineffective corrective measures. This expert said that people who discover problems are not rewarded; rather, their findings are met with resistance, which has created a culture where quality assurance staff are hesitant to identify quality assurance problems or problems with corrective measures.” (p. 24) This quote exposes the core NSC issue at the WTP. *** A. Cary, “Feds bash Hanford nuclear waste plant troubles, question DOE priorities,” Tri-City Herald (April 24, 2018). Retrieved May 1, 2018.